This gadget has some high-quality optics, and this is because it uses advanced optical technology for image clarity and pinpoint precision. Lightweight, Portable, Rainproof and Fully Equipped Rangefinder. Uses advanced technology to prevent distortion of distant figures by objects on the course, and so you can be sure of accurate data and clear image regardless of the distance. It is very convenient to use since the operation is through a single button and it has an auto shut off feature that helps to ensure it does not use power when you do not need it. VPRO 500S is very easy to clean and maintain due to its soft surface and the fact that it comes with a lens cleaner. The dust and water resistance feature also makes maintenance easy. The rangefinder weighs only a couple of ounces, and so it is easy to walk around with, and its compactness makes it easy to transport and storage. 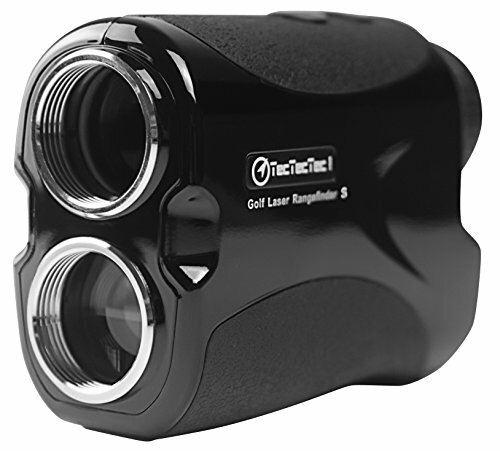 The TecTecTec VPRO 500S is an efficient rangefinder that is perfect for a golfer who wants something that is high quality without having to spend much. Most budget-friendly golf rangefinders tend to have a maximum yard range within the 400 to 600 yard mark, and the VPRO500S fits that requirement. It can range out to 540 yards which is ideal enough. The VPRO500S has 6x magnification along with what’s called diopter adjustment. That means you can adjust the focus of it as you would a pair of binoculars to match your eyesight. And the 6x magnification lets you get up-close and personal with objects from about 200 yards away. I’ve used it just to watch the expressions on guys’ faces when they miss a four-foot putt on the green ahead of me. It can be mildly entertaining. So basically, this TecTecTec rangefinder does all the things just as well as any other rangefinder. Yet costs about half as much. Although it has a rainproof coating, it is not 100% water resistant, and hence, you cannot be sure that it is safe when playing under an incremental weather. Its black color may be a disadvantage for some people since it also has a black strap. Finding it in a fully loaded golf bag might be an issue, but you can solve this problem by changing the straps. 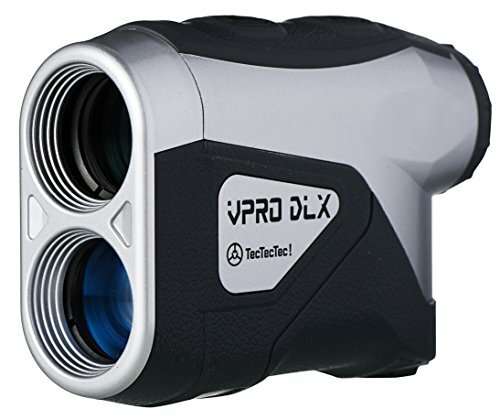 The TecTecTec VPRO 500S is an efficient rangefinder that is perfect for a golfer who wants something that is high quality without having to spend much.